You know how sometimes you just want to make something quick to bring to a party, without slaving over the stove or oven for hours? But you still want it to be freaking delicious, and you want everyone to be super happy you brought it? Yeah, well this might just be that recipe for you. It has everything. 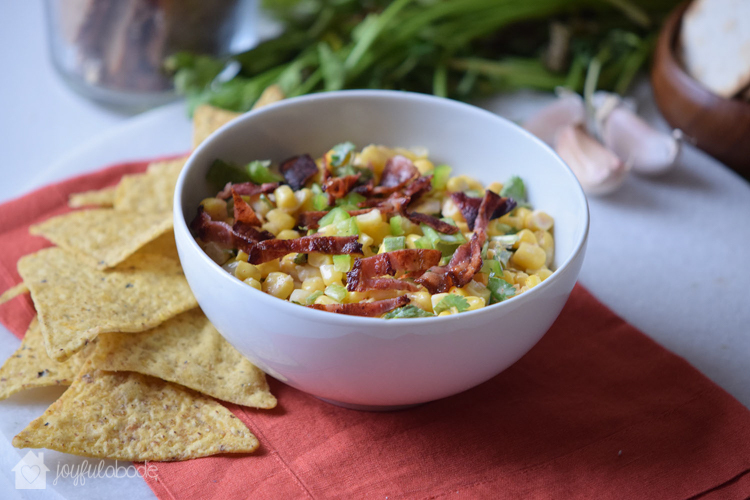 Bacon, jalapeños, corn, butter… mmm. 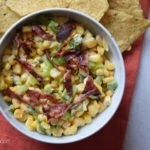 I don’t make things with corn in them very often – it’s hard to find organic, GMO-free sweet corn where I live, so it doesn’t make an appearance very often in my house. But sometimes, it’s just worth it. And thankfully, organic corn chips are much easier to find, so scoop away with these crunchy treats! 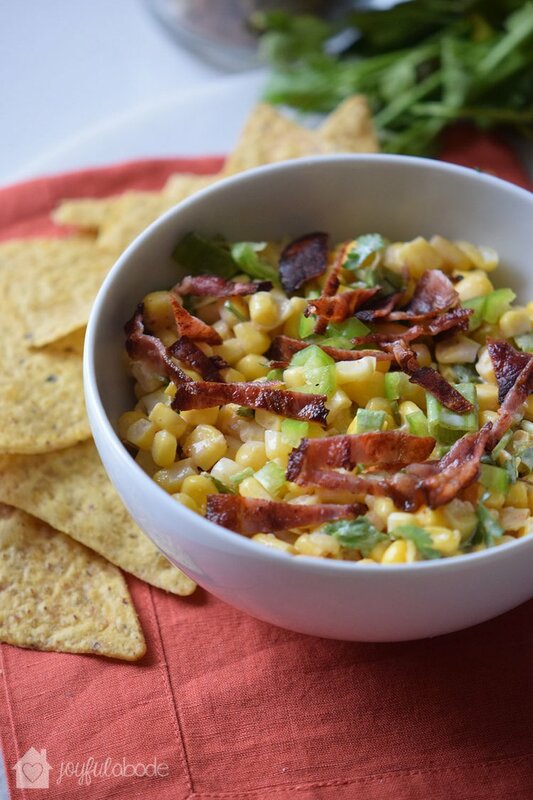 Of course, you could do whatever you like with this jalapeño corn bacon salsa/dip recipe! Why not add it to a lettuce wrap along with some shredded chicken? Dinner time! Or use slices of jicama to scoop it up instead of corn chips! Try using it to top a salad, with some fresh fish. The possibilities are endless, but there’s only one guarantee: You won’t be disappointed. Are you ready to make this delicious salsa? With just a few ingredients and a few minutes, you’re going to be on your way to yum-town. Did I just say that? How cheesy is that? Let’s just pretend I didn’t say that, okay? Drizzle olive oil in a skillet preheated to medium heat. Blot the bacon on paper towels, then thinly slice. Add the water to a pot and bring to a boil. Add the corn and reduce to a simmer. Cook for 7 minutes. Drain the water and discard. Mix the corn with butter and stir until well mixed. Transfer to a bowl, add the bacon, onion, jalapeños, parsley, lemon juice, and green onions. 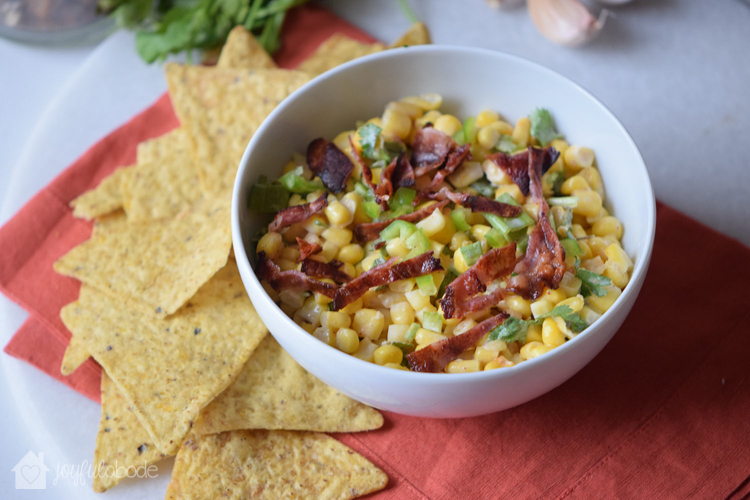 Serve with corn chips and enjoy. Add some of your favorite hot sauce to make it even spicier. 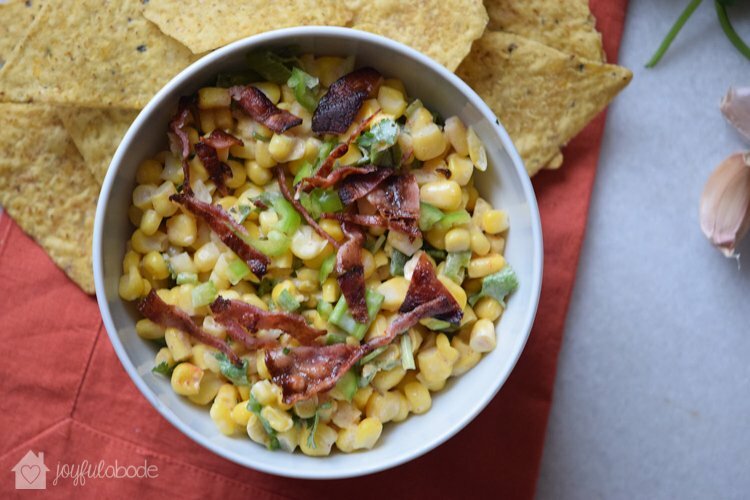 Love this jalapeño corn bacon salsa recipe? Don’t forget to pin it! I would quite literally bathe in this if I could. Everything I love in a single dip- I am SO excited to try this out! !